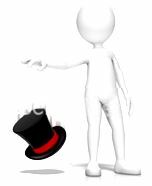 At the drop of a hat is a popular idiom which expresses the idea of doing something immediately and without any hesitation, planning or prior preparation. For example: It seems to me that most people would quit work at the drop of a hat if they didn’t have financial commitments. Posted on May 23, 2016 May 22, 2016 by Inglés MálagaPosted in VocabularyTagged aprende ingles malaga, Clothes, idiom, Vocabulary. At the drop of hat is my favorite idiom, thanks for share.